Anything Under Kenny: Button Down for what? As I was going thru The Man Repeller, I got inspired to do a blog post about styling button downs. I thought that since I have a bunch of button downs laying around my closet, I really don’t have much idea on how to style it more. So I picked up on those pieces that they featured on the site. I am just crazy over this first look. It is so simple and effortless looking. The fabrics worked so well together. I may not know what fabrics these are but I want to have one for myself. I just really love this. It feels so soft and comfortable just by looking at this photo. Looks effortlessly chic. This is all about layering and a play on textures and prints. Being playful and taking some risks pays off sometimes so give it a go and it might work. Oh my god, this is so sick. I really am into tailored looks. 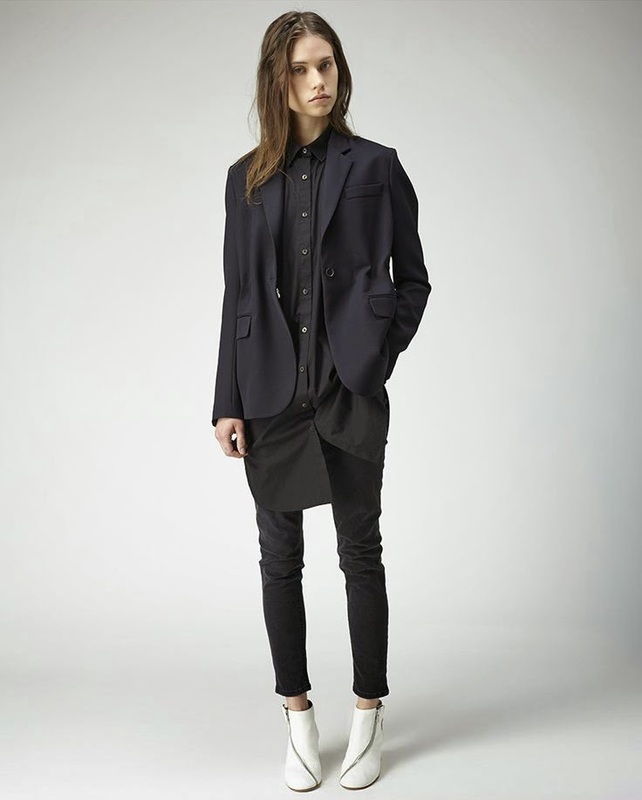 I haven’t thought of layering anything longer than this tailored jacket. Quite simply, it worked for this look! Bravo. Thank you Man Repeller for showing us new trends. This last look I have been sporting around since 2012. I button up the first few holes and let the rest lay as it is. Going against the norm. I was surprised that throwing on different outerwears into this look didn’t look frumpy and bulky. She used different lengths and cuts here. So that’s the hint, play on different lengths to be able to get this look. Fashion reflects ourselves. And it also shows how far we can go just by simply putting on garments. How imaginative and creative we are. I will try to create a spin on these looks! Hopefully, I can!